Nice music and not too bad effects. But please, fix your startup code or replayer code or whatever code it is that crashes the machine when the VBR is not at $0! It's not exactly nice to see the machine rebooting a split second after starting the demo just because of a moved VBR. It seems there are pointers to some FPU code stored at $c0-$e0. Some stuff is stored at $100.w as well. Please check your code as these things are most probably the reason for the crashes. It's pretty dirty code in any case! It's decent. Lacks some stuff here and there to make it "good", but it's still a pleasant demo. the 80ties disco-pop tune is awesome, and I really enjoyed most of the effects. scroll is the weakest effect currently, but it would be to die for if it also had a scroll-out effect with the dots (not only the scroll-in). Great tune and nice f/x. Simple, yet nice. Great tune and nice little effects with some attention to detail. Me likes! The scroller could have been shorter though. 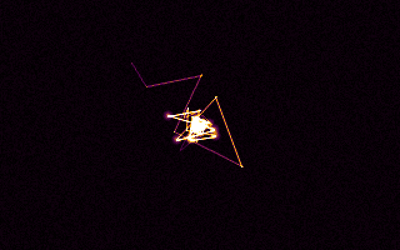 Nice, nostalgic 'laser dance like' music, good flow and cute colors. Pleasant stuff. Can't really put up a thumb, a bit slim and not my style. Keep up the work though, waiting for more! circles part was nice, good italo. short and sweet. great music! Great tune. And the demo is itself nice too although it is pretty simple and short. Nice basic effects and lovely italo pop. Pretty nice but the thumb is really for the great tune. page created in 0.016066 seconds with 15 queries.